Higuain was sent off after 83 minutes, two minutes after Ronaldo, the player who took his place in Turin on a 100-million-euro ($115m) deal, fired in his eighth league goal in 12 matches since arriving from Real Madrid. â€œI know that we are an example for all children, for those who play football, for the people watching, but we are not robots, and we carry things within us,â€ Higuain said after. â€œWe are human, we feel emotions, the game was not going the right way and it was one of those days. 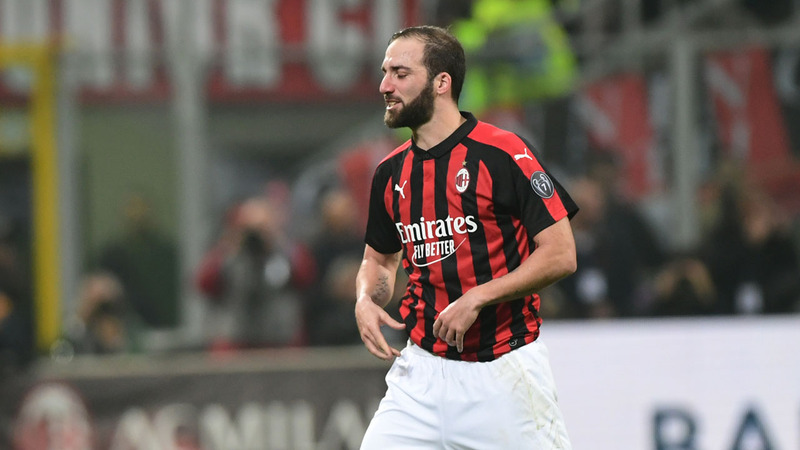 â€œI think sometimes the referees should understand the situation,â€ added Higuain, who won two Serie A titles with Juventus after joining from Napoli in 2016.
â€œHad I scored, the game would have changed,â€ said Higuain. AC Milanâ€™s third loss his season saw them drop out of the Champions League places into fifth behind Lazio who moved back into fourth despite a 1-1 draw at Sassuolo. Coach Gennaro Gattuso conceded his side were no match for Juventus who bounced back from their Champions League defeat to Manchester United to maintain their six-point advantage ahead of ahead of Carlo Ancelottiâ€™s Napoli. â€œJuventus have shown they have something more than us,â€ said Gattuso. â€œRight now, he (Higuain) feels a huge weight on his shoulders and it shows. â€œHe missed the penalty against his former team, sometimes the emotion can get to you. He must calm down, apologise and assume his responsibilities. â€œHeâ€™s our most important player and he has to make the difference. He has to be clear headedâ€.